The row began when Israeli minister for military affairs Moshe Ya’alon spoke to local media with vitriolic contempt about America’s top diplomat, John Kerry. Kerry had only days before been in the Middle East on yet another visit to push the so-called Israeli-Palestinian peace process along. The US Secretary of State has flown to Israel on at least five occasions over as many months since he made a big show of kick-starting “final status” negotiations between the Israelis and Palestinians last year. Recall that Kerry had then set out a timeframe of nine months for a final peace settlement to be achieved under his watch when he announced this roadmap in Washington last July. As it turns out that deadline looks nowhere near being met, as all knowledgeable people already promised at that time. Washington responded to the reported comments with a mixture of surprise and chagrin. The US State Department called Ya’alon’s remarks offensive and expressed dismay at the ornery attitude in Tel Aviv in light of Washington’s efforts on overseeing the putative peace process. “John Kerry has worked night and day to meet Israel’s security needs”, said Washington in the tone of an indulgent uncle who has just had his feet stamped on by a spoilt child. There were a few political voices within Israel who rebuffed Ya’alon for his “ungrateful” comments towards Kerry. Nevertheless, Ya’alon’s acerbic derision can be taken as representative of how other senior members of the ruling Likud party tacitly view the American secretary of state, and indeed Washington in general. Their contempt is understandable. Not because Kerry has done anything to impede Israel, but rather because he and Washington are so relentlessly pathetic in pandering to the reactionary Israeli regime. If Washington shows so little backbone, then why not stamp on its toes again, and again? Put it in this perspective. The nominal Israeli-Palestinian peace process has been going on for nearly 45 years since US president Jimmy Carter signed the Camp David Accord in 1979. Then we saw another “milestone” with the Oslo Accord in 1993 under president Bill Clinton. More than 20 years after Oslo, the Palestinians are no nearer to realizing an independent state with full sovereign rights. The only significant change that can be registered in concrete terms — metaphorically and literally — over the decades is that the Israeli state has continued to expand and consolidate its occupation of Palestinian territory — in flagrant violation of international laws. During his last visit to the region, while Kerry was exhorting the conclusion of negotiations, the Israeli government was more concerned with announcing new plans to annex large parts of the Jordan Valley in the Palestinian West Bank. How’s that for chutzpah and right in Kerry’s face? This move, we were told with customary cynicism, is vital for Israel’s insatiable need for security. Also in recent weeks, Tel Aviv has revealed expanded construction in Jerusalem, which in effect vitiates the Palestinian claim to the eastern part of the city (al Quds) as the ancient capital of historic Palestine. These remorseless infractions by the Israeli state constitute brazen crimes under international law, because building on occupied territory obtained through conflict, as Israeli has done since its 1967 Six Day War, is defined as a war crime under the Geneva Convention and the UN Charter. Yet in the face of such outrageous criminality by Israel, Washington remains unswervingly servile. Apart from Kerry’s latest pusillanimous pandering, Washington’s servility was on full display elsewhere this past week during the funeral of former Israeli prime minister Ariel Sharon. Sharon, known to many around the world as the Butcher of Beirut for his role in the 1982 massacre at Sabra and Shatila, when over 3,500 Palestinian refugees were slaughtered by Israeli-backed Lebanese fascist militia, was buried amid fulsome eulogies emanating from Washington. US vice president Joe Biden, wearing a black Jewish skullcap, delivered an oration at Sharon’s funeral in Tel Aviv in which he heaped praise on this mass murderer, euphemistically referring to him as “the bulldozer”. Biden went on to reiterate the usual Washington mantra about the “unbreakable bonds” that exist between the US and Israel. 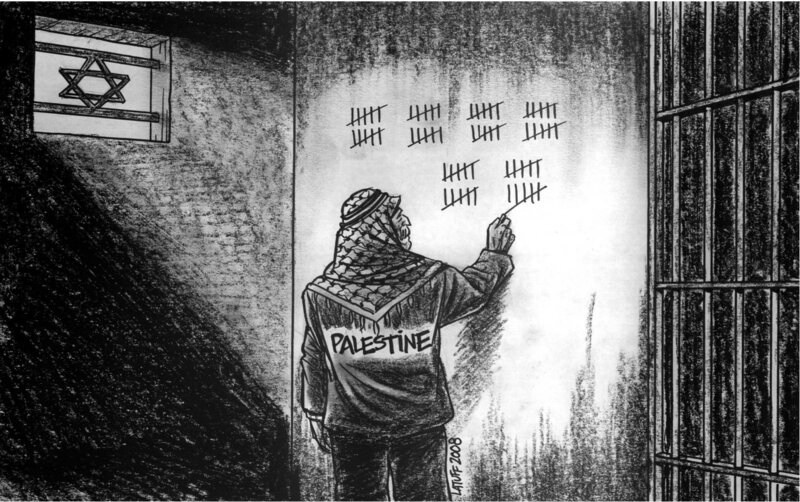 From the Palestinian point of view, there is nothing left to be salvaged from the decades-long “peace process”. The chimerical Two State Solution has evidently become a cruel travesty when ever-diminishing Palestinian territory is divided and sub-divided, built upon and walled off with an eight-meter-high concrete barrier, where Israel exerts control over sea, air, and even basic utilities like water, electricity, and sewage; and where now the ancient Jerusalem capital is finally being expropriated like a coup de grace. On top of all this, Israeli prime minister Benjamin Netanyahu has begun pushing a new political demand that the Palestinians must recognize Israel as an “exclusively Jewish state”. In so doing, Netanyahu and his Likudniks are demanding that more than four million Palestinians forced into exile by the 1948 pogroms and the 1967 war must henceforth forfeit their internationally recognized right to return to their homeland. Like a parallel universe, all the while John Kerry and the Washington establishment remain resolutely silent over these systematic Israeli war crimes, save for the odd mild reproach to “freeze settlements” — which the Israelis just ignore anyway. Indeed, Kerry and his ilk repeatedly insult common intelligence with their breathless rhetoric about a “peace process” and “final status agreement”. Even the docile Palestinian leadership under Mahmoud Abbas appears to be realizing that Washington’s charade as an honest broker has expired, and that under the existing American framework there is negligible left to negotiate for. This week the United States Palestinian Community Network called on Abbas to abandon futile talks with Israel. “We reaffirm our call for an immediate end to negotiations and the establishment of a truly representative body for Palestinian people that can protect our rights”, said the network. So, when Washington this past week deplored the offensive remarks of Ya’alon about John Kerry what it was really decrying was this: the US government has bent over backwards to accommodate and turn a blind eye to Israeli aggression yet the Israeli leadership repays us with insolence. But this Israeli insolence is not unprecedented. It does not come out of thin air or inherent ethnic character. Israel’s truculence has been inculcated owing to Washington’s unconditional support to Israel regardless of the latter’s criminality. Washington indulges this regime with an official 3 billion US$ subsidy every year — equivalent to the figure that the US government is presently slashing in food stamps to millions of hungry Americans. The real US Israeli expenditure is probably multiple times more when off-the-books military aid is counted in. The US is thus the hand that feeds the Israeli state and keeps this entity viable. Even when Israel’s ruling class bites the hand that feeds it out of its overweening inculcated self-importance, Washington keeps on plying with benevolence. This is a relationship whereby the patron rewards the client for incorrigible behavior. There is a fashion among some critical American analysts to attribute the dysfunctional US-Israeli relationship solely to the dominance of Zionist lobbies and Jewish-controlled mass media. There is no doubt that such Zionist influence has a significant bearing on Washington’s foreign policy in the Middle East and beyond. Political campaign donations (in truth bribes) from the likes of AIPAC (American Israeli Public Affairs Committee) have a major impact on how members of the US Congress and the White House formulate policy. Currently, the US Senate is working on a bill that some analysts say will commit the US to automatically back Israel if the latter were to embark on a pre-emptive war on Iran. 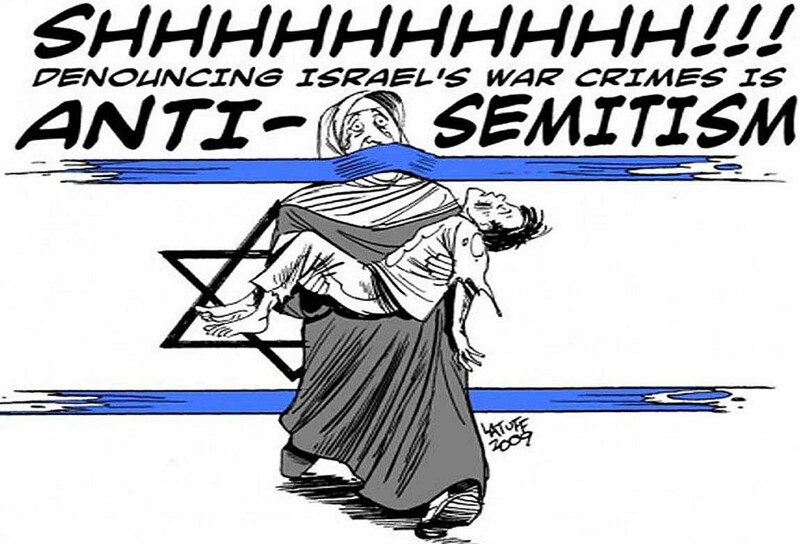 This legislation, as in many other cases, is heavily presaged by the rabid Zionist AIPAC lobby. In the latest Kerry phase of the Israeli-Palestinian peace shenanigans, the US interlocutor is Martin Indyk, who is a dual American-Israeli citizen and a long-time senior associate of the AIPAC. But this “tail wagging the dog” thesis of the American-Israeli relationship fails to account for the fundamental strategic importance of the Israeli regime to US imperialism in the Middle East. Without the Israeli state, the US would not have the military and political platform that underpins its hegemony over the oil-rich region. This is a historical function of US capitalism ever since the Second World War that transcends Washington lobby groups, media pundits, or opinion-makers. As US vice president Joe Biden said a few months back while addressing a Jewish lobby group in Washington: “If the state of Israel did not already exist, then the United States would have to create it”. Washington may at times show consternation over the petulance of Israeli politicians. US president Barack Obama, for example, is known to find Netanyahu’s boorish manner insufferable. The Israelis know only too well the essential nature of the US-Israel relationship. They know that Uncle Sam needs them as an imperative for the operation of American economic hegemony in the oil-rich Middle East. That is why the Israelis know that they can at times bite the US hands that feed them — because this US hand will keep on feeding out of its own imperialist necessity.